Pests in the home can put your family at the risk of poor health, for this reason you should ensure that your home is free of pests and their filth and the only way to do this is by having professionals like us take care of it for you. Here at Soft Touch Carpet Cleaning and Pest Control in Brisbane, we are committed to providing our clients with the highest quality Brisbane pest control services so you can enjoy a pest free home longer. 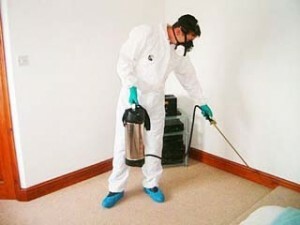 Our team of highly trained experts will rid your home of domestic pests in no time and offer invaluable advice on preventing future infestations of pests. If this sounds like you then you need to take action against your uninvited pests now. Soft Touch are among the leaders in pest management and control for Brisbane and surrounding areas simply because we take pride in our work and strive to achieve the best result every time. Save your home from further damage and your family from poor health, give us a call and arrange a technician to come and remedy the problem or get an obligation free quote today. Don’t settle for second best when it comes to pest control, call us at Soft Touch on 1 300 669 130 and relax knowing you are in good hands.